Along with all the appetizers and snacks, I always make some sort of a Bruschetta to put out for a party. I also like to put out a few relish trays and it seems that the olives are always the first to need a refill. This year I have decided to combine the two and make a spicy olive tapenade to spread on my crostini rounds. 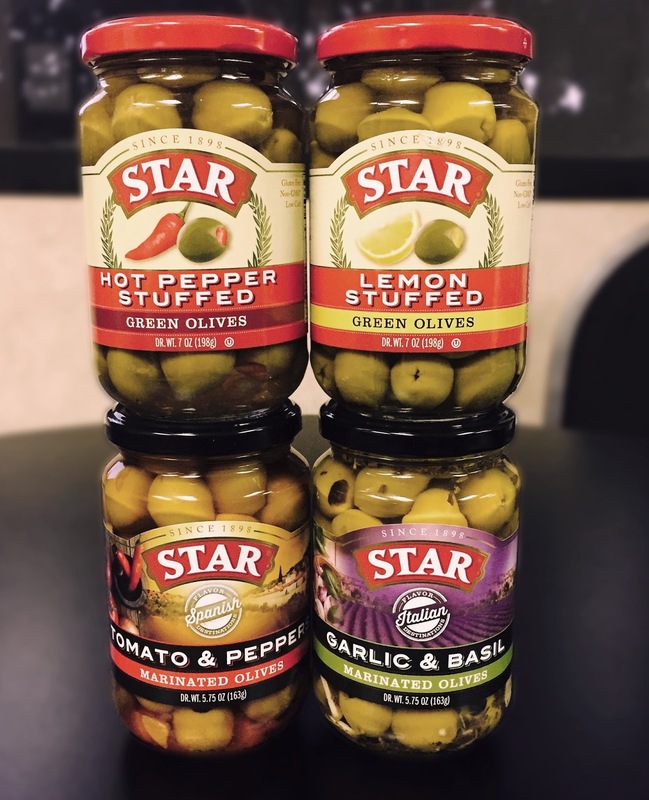 It was such an easy recipe to make thanks to Star Fine Foods. 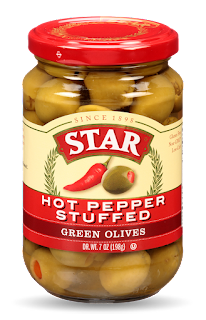 I used their Hot Pepper Stuffed Green Olives to give this appetizer the perfect kick! These little crusty rounds topped with a subtle dash of heat are going to be just perfect for the big game! Drain the liquid from the olives and finely chop. Next finely chop the garlic and the onion and add to the olives. Then add the capers, parsley, lemon juice and pepper and stir to blend. Finally add 2 tablespoons of the olive oil and mix well. NOTE: If you use a food processor you want to only pulse it about 3 or 4 times so that you keep it a little chunky. Pour into serving bowl and refrigerate. Slice your rounds and stack around bowl when ready to serve. Prepare the crostini toasts by laying them out on a baking sheet and brushing each slice with olive oil. Put the baking sheet under the broiler and broil on low for about a minute or two until golden brown. Remove and allow to slightly cool. 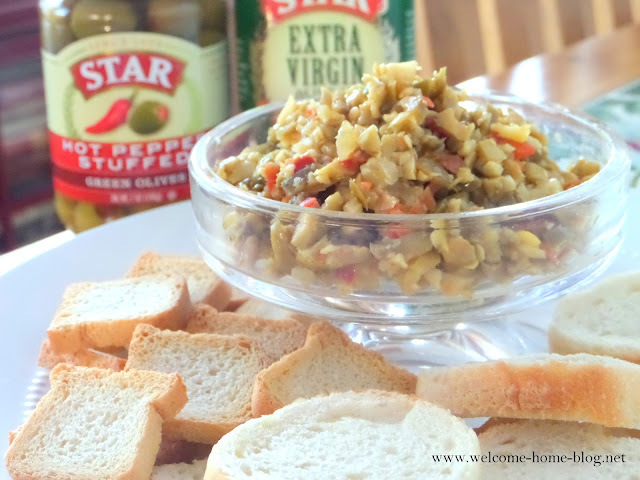 Spread a heaping tablespoon of the tapenade onto each slice of toasted bread. Arrange on a serving platter and serve immediately. Star Fine Food's new Hot Pepper Stuffed Green Olives are available at Savemart and Walmart stores and online at http://bit.ly/HotPepperOlives. So far I've tried Star's new Hot Pepper Stuffed Olives, the new Lemon Stuffed Olives. the new Flavor Destinations Spanish (Tomato & Peppers) Marinated Olives, and the new Flavor Destinations Italian Garlic and Basil Marinated Olives.